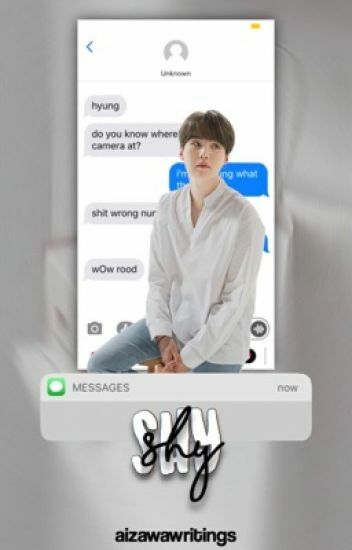 in which yoongi accidentally texted the wrong person asking where is his camera. ??? : do you know where's my camera at? it all started from a text about a cigarette deal. in which a girl who failed in her math SAT exam sends a sad text to the wrong number. "Doing my laundry, of course. What else?" In which a 24-hours laundry is their usual place to see each other. a survival show, in which it has fifteen girls, and eight has to be eliminated. who will be the seven women standing? will they be able to debut? note: this is not real. i just made this for entertainment. thank you! "The only thing between me and another bottle is you." • "You shriek as you begin to feel a sharp pain where your neck meets your shoulder. - I'm currently editing this, gotta rid of all the cringe you know.. I'll be finished soon. He woke up everyday not knowing who she was and she woke up everyday content with who he was. "I wish you'd wake up one day and call my name"
where hoseok breaks a pair of glasses in an optical store and the employee takes the blame for him. "- you're as precious to me as  a diamond."